We use the "cinema reportage" style in order to capture the spontaneity and naturalness of what is happening in front of the camera. 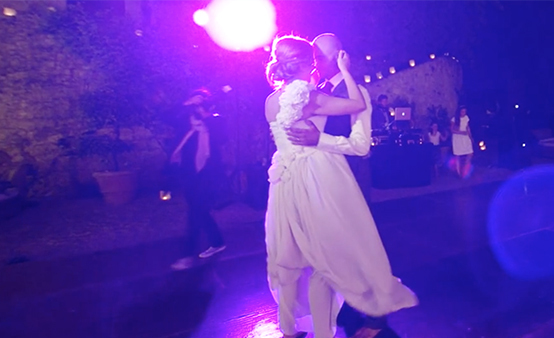 Our inspiration comes from foreign colleagues who have been able to transform ordinary "wedding videos" into films with a high level of technique and direction. We like to create images that are full of energy, obtained using cinematic-style camera movements and high-quality professional equipment. The final editing of the footage sums up the whole day in a mixture of lights, colours and sounds that fully involves the viewer. Our prices vary depending on the services requested and in accordance with couple’s budget. It is possible to request a basic, although high-quality, service, or take advantage of the many additional services that our studio is able to offer, going so far as to obtain a top-quality video produced with the use of several cameramen and cinema-style equipment. A brief consultation will allow us to pinpoint the service best suited to your needs, and to suggest the right direction. Based on our experience of working with the many couples who come to us, we have identified approximately 15-20 minutes as the optimum length for a video. We believe, in fact, that this length of time is suitable for highlighting the important moments of the day, choosing only the most beautiful images, and giving the story of your wedding an engaging rhythm. For specific requirements, however, we can prepare different or longer versions, or trailers lasting approximately 3-4 minutes. 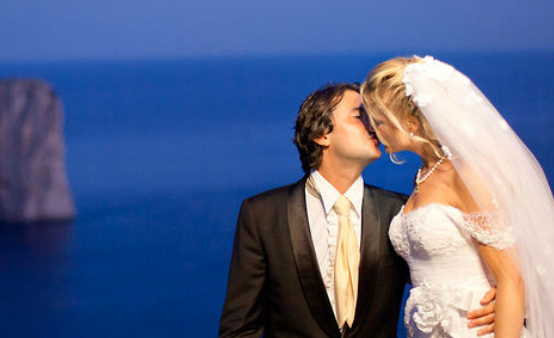 What are your working hours on the wedding day? Our presence at your wedding includes the preparation, at home or at the hotel, the ceremony, the backstage photo shooting, and the arrival at the restaurant. We will be happy to stay on for the reception to document the whole celebration until it comes to an end, upon payment of a small surcharge. What does the post-production phase consist of? Post-production is the process during which we choose the most beautiful images from your wedding and edit them into the desired sequence. We also add titles and music and correct the colours on each clip so that the video will have a more cinematographic look. 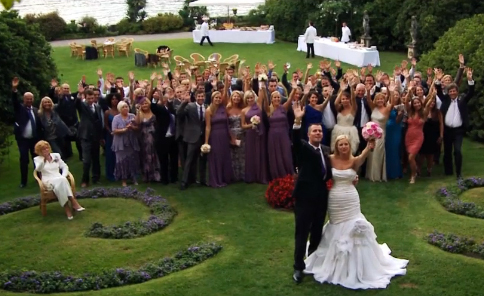 Once we have completed the editing process we move on to producing the DVDs or blu-rays for your wedding video. Finally, before delivery, we test every copy to avoid any defects or problems in reading the discs. Can we see a preview and make changes before we get the final discs? Before delivering the final versions, the Bride and Groom have the chance to watch a preview of their video on a high-definition big screen in our studio or on a web page that can be accessed by them only. As a result, the sequences, music, titles and covers can be personalized. How many discs do we get? Do you also make blu-ray discs? We usually produce 3 traditional DVDs and 2 blu-ray discs, but it is possible to request more copies. 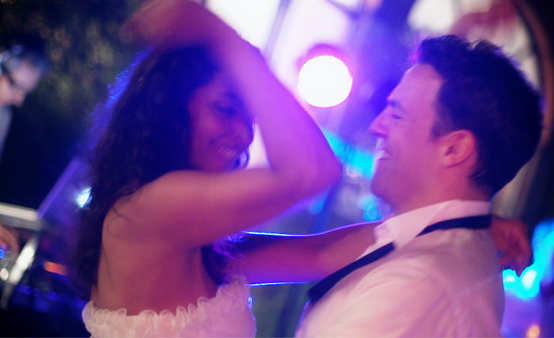 All our wedding videos are filmed in high-definition and therefore can also be viewed on blu-ray disc, with a surprising degree of details and colours. For a small surcharge we can also provide all the original non-edited files. Our delivery times vary from approximately three months to longer, depending on the season in which the service is carried out. Post-production takes place in our studio and is looked after by the owners, Riccardo and Alberto. This hand-crafted and creative process is why extremely polished and personalized results are guaranteed. Who will the cameraman be? 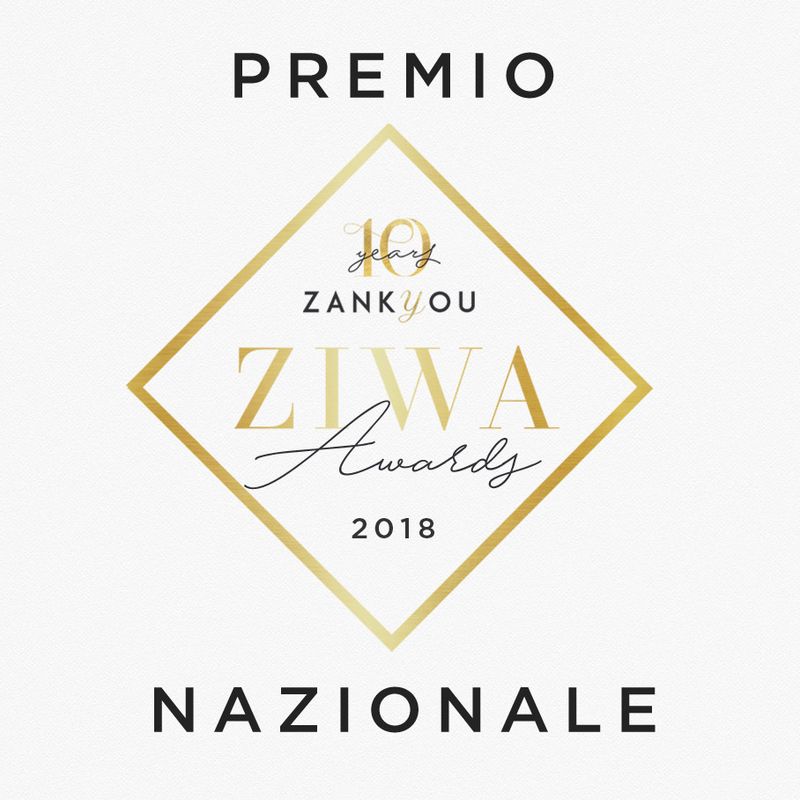 In order to offer the couples a high-quality video with an original style, all our wedding filming is carried out personally by the owners, Riccardo or Alberto Lavezzo, with the help of assistants or partners where necessary. Only in the case of sudden or unforeseen "force majeure" (illness, accident...) do we reserve the right to replace them with experienced colleagues in order to assure the service. However, it is of the highest importance to us to accompany the Bride and Groom from their first appointment with us right up to the day of the ceremony, and subsequently during the post-production and video preview phases. We are passionately interested in technology and our warehouse is kept constantly up-to-date. Therefore, when something technologically advanced is introduced in the market, something capable of offering better quality results, we enthusiastically make new investments. Thanks to our corporate work and collaborations on advertising projects, we also have high-definition film cameras and SLRs, as well as specific tools that provide a cinematographic result also when filming a wedding. Depending on the situation, we use a steadycam to make motion filming smooth, mini tracks, tripods, LED lights and spotlights, microphones, cranes for dynamic filming, dollies with tracks, mini waterproof video cameras for camera cars and underwater images, and remote-controlled vehicles for aerial shots. Do you also offer a photography service? Our studio deals mainly with video productions and we do not offer photography services. However, if you need our guidance in choosing a skilled professional, we will refer you to capable colleagues, keeping your requirements and budget in mind. If you have already chosen your photographers, we will be delighted to work with them in ensuring the success of our services. What type of ceremonies can you film? 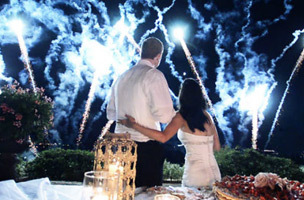 Our staff can make any type of wedding ceremony unique and unforgettable. 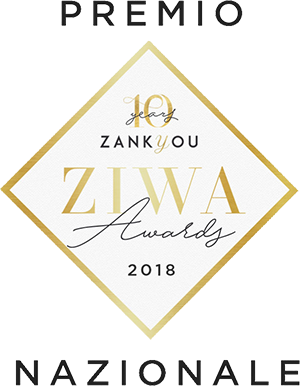 We are delighted to document the different traditions and religious faiths, and always work with the utmost discretion and respect for the features of every kind of ceremony, and above all for the sanctity of the vows exchanged by the Bride and Groom. We don't like being photographed or filmed, what can we do? If you are uncomfortable being photographed and the thought of having the lens pointed at you makes you nervous, don't worry! Many Brides and Grooms feel the same way. It is our job to put you at ease and to be as discreet as possible so that you don't notice our presence. 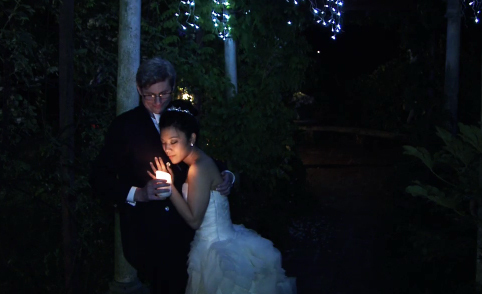 Our videos are inspired by the "cinema reportage" style and aim to tell the story of your wedding day in a natural way. Therefore, we don't ask you or your guests to take part in staged scenes. Our only aim is to capture as much of your spontaneity and naturalness as we can. 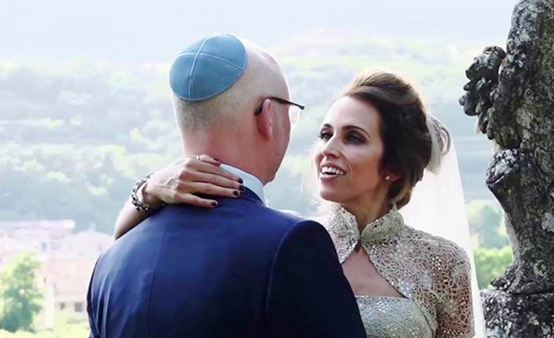 Our studio began with making videos for local ceremonies, but was eventually able to offer its services in the most beautiful locations in Italy and abroad, fulfilling the requests of many agencies in the field and, above all, of a demanding and varied client base. We are therefore prepared to travel long distances, adding only travel and accommodation expenses to our fee. Will the video be published on your website? We ask the couple for consent to publish and broadcast their wedding video on the Internet or by other means, since it may be useful for the promotional requirements of our studio or for informational purposes. 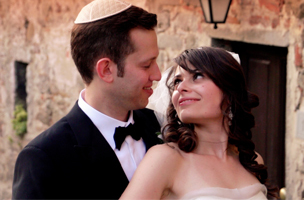 In fact, we believe that it is helpful for future couples to see our latest videos and to view the weddings of couples who have previously used our services. How do we confirm your video service? If you like our style and want to give us the task of "telling the story" of your wedding, please sign the contract that we will send you, indicating the studio services you request, and pay a small deposit. At that point, the requested date will be entirely reserved to you.